Visiting the home of a friend, I happened to notice how the sunlight from her back patio was falling on a houseplant. The rays of light had rendered parts of it an almost transparent green. It was as it you could look right through it and see what was inside. Just a plant, transparent and simple. Just this week, I witnessed the integrity of someone that I know. They had an opportunity to be dishonest about a matter, but chose to be transparent, instead. Their choice to be honest may seem unprofitable to some, yet the value and esteem of their decision is worth far more. What is it worth to be known as a person of integrity? What is it worth to be known as deceitful and untrustworthy? How important is it to please God in this area of our lives? 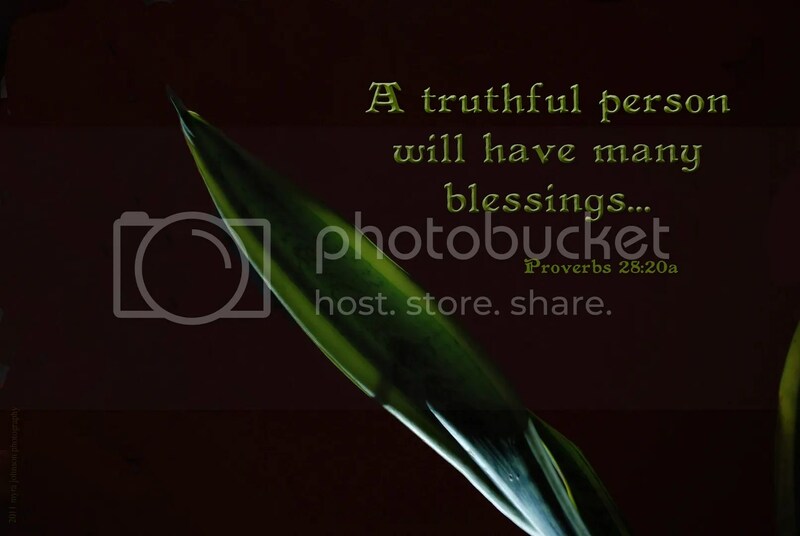 If we purpose to be truthful, we certainly will reap the benefits of doing so. Just a forgiven child of God, transparent and simple. China leading manufacturer of high quality LiFePO4 battery,lithium battery,li-polymer battery,NIMH battery,NiCd battery, custom battery packs, battery chargers and OEM/ODM reliable power solutions. This is my first visit to this website.